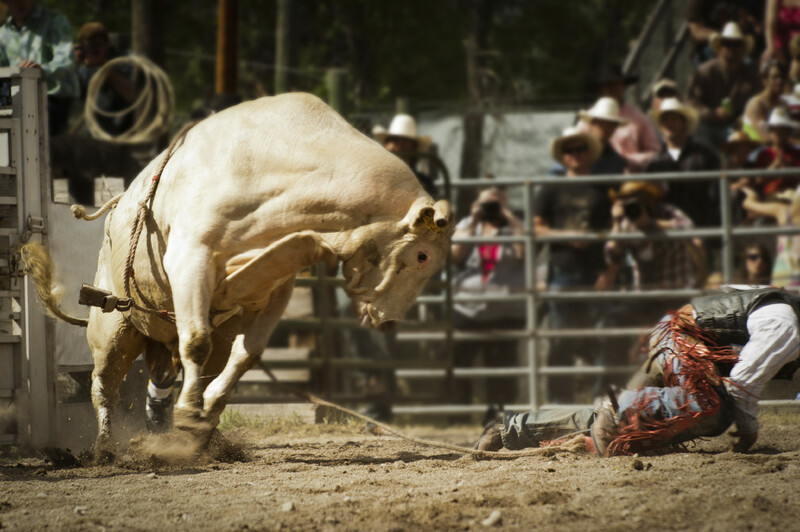 Bull riding is the most popular rodeo event and may be the world’s fastest-growing sport. But along with growing popularity, comes the growing pains. No, I’m not trying to segue into an Alan Thicke fan letter, I mean real pain. The truth is, there is no such thing as a bull rider with no injuries. If you are a bull rider, you already know this. Dislocated shoulders, broken ribs, sprained wrists and fingers can happen on any ride. OUCH! Unlike most sports that have a laundry list of rules to follow, bull riding has two. Only use one hand, and stay on for at least 8 seconds. Basically, if your free hand touches anything, you’re left with a big fat 0. Two judges can score the bull rider up to 50 points, 25 for the rider’s performance, 25 for the bull’s performance. Adding up the two scores allows for a possible 100 points, although a perfect ride has only happened once. A rider who wants to win, has to know how to get the bull to be the wildest, and hang on! Get up! Get up! GET UP!!! How do they do it? Managing to stay on these large savage beasts for at 8 seconds, would seem to me like an eternity. It’s no easy task, and a fair amount of training, flexibility, and courage is required. I tried a mechanical bull at a Country and Western bar and felt like a tossed-around rag doll. If you’ve got what it takes and feel compelled to get in on the action, you too can get into the ring. Win $2,500 in prize money to be upgraded to cardholder status. Work your way up the Touring Pro Division standings. Congratulations! You landed a position on the Built Ford Tough Series! The cojones to get on a wild 2,200 lb. animal. For those of you who would much rather cheer on a favorite bull rider, good news! The Professional Bull Riders Tour is going on right now, and BareBones WorkWear is giving away tickets to the Sacramento event. 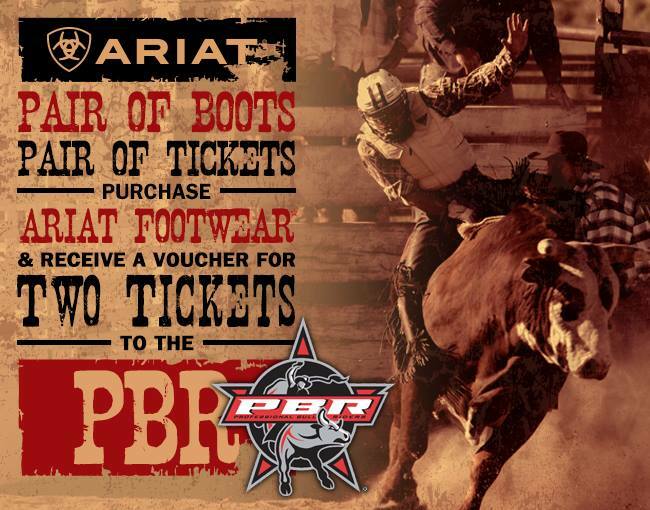 There are two ways you can get a pair of tickets: go to any of our 5 retail locations, buy a great pair of Ariat boots, and receive a voucher for two tickets!. You can also win two tickets by heading over to our Facebook and liking and sharing the Ariat post below! Also…click to go to our Facebook page and enter the FREE ticket giveaway! Interest peaked? Dying to get out there and show us what you’re made of? I’d love to see you succeed, but allow me to give you some apparel advice. Bull riding is a dangerous sport. A short sleeve shirt and flip flops aren’t going to cut it here. 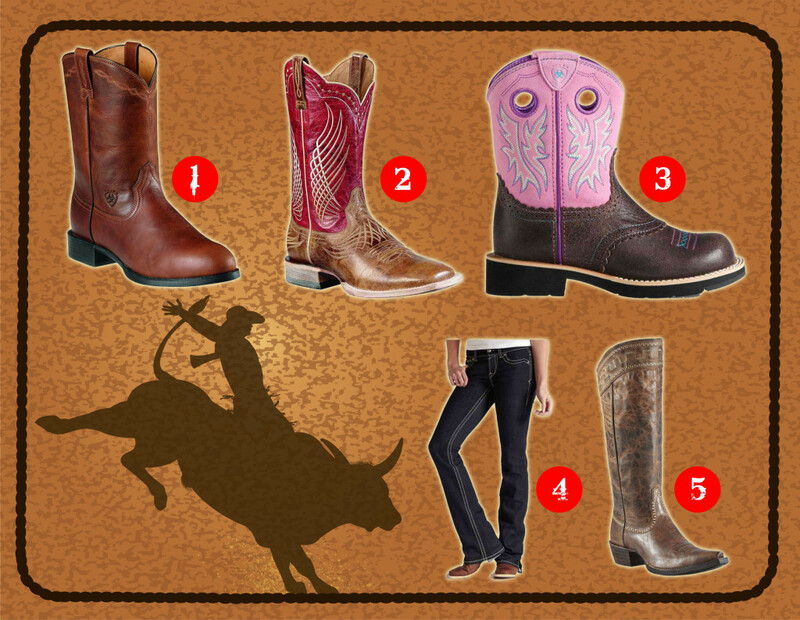 We’ve teamed up with Ariat to provide both riders and spectators the best bull riding gear money can buy. How good are these boots and jeans? These boots are the “Official Boot” of the PBR. The Dual Pro Outsole Technology was crafted specifically for Western performance riders, combining the performance of leather with the durability and security of rubber. But don’t take our word for it. Ask the ever growing roster of Ariat sponsored athletes like Chris Shivers, Adriano Moraes and Cord McCoy. You might be surprised by how much great Ariat gear we have, but for those that have already trusted the brand, they know that Ariat has a wide selection of the best gear. 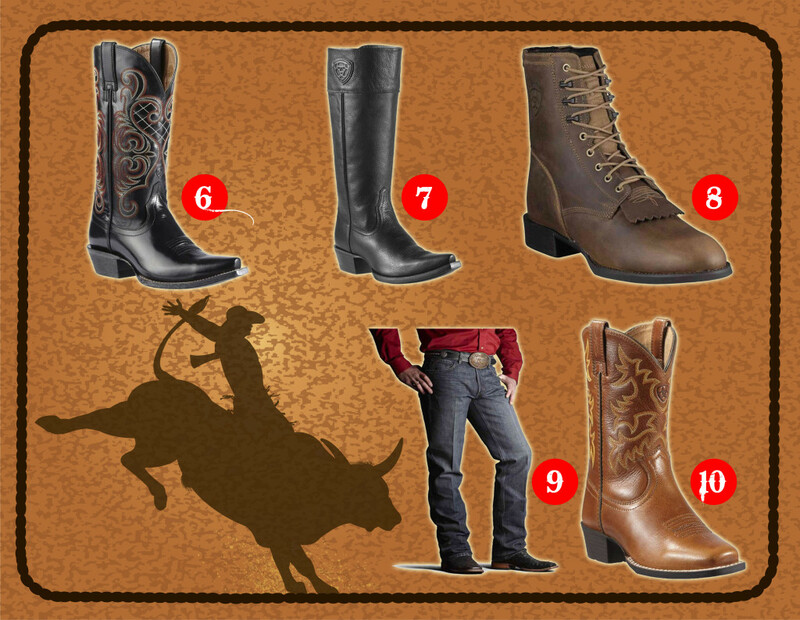 Especially when you are talking about bull riding and bull rider spectating, Ariat has both the style and selection. Men, women, boys, and girls of all ages. 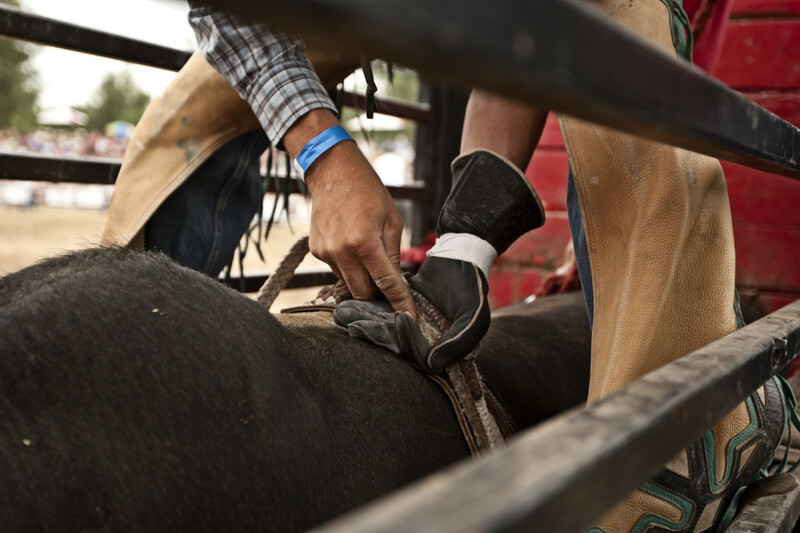 Some of the best bull riders have trusted the Ariat brand for years, because the last thing you need is for your gear to fail in a very dangerous sport. The PBR Tour is hitting Sacramento January 31st, so come out and witness an event that is sure to be memorable. Come dressed to impress in your new Ariat gear, and we’ll see you there! It is said that Mike and Barey Bear once dated the same girl at the same time. Barey ultimately won the girl's heart after a fight that left Mike with no arms. Mike now serves as Barey's full time maid, making sure the cave is clean at all times, and the cubs have enough flesh to munch on.